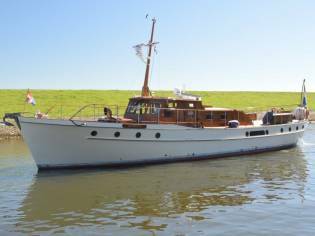 "Silver Buccaneer" is a Silver Ormidale Class motor yacht designed by John Bain and built in 1964 by James Silver & Co., Rosneath, Scotland. 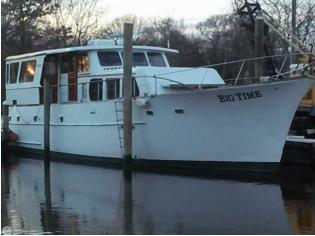 She has recently been refurbished by her current owner. One of the nicest of the Silvers Class boats, well proportioned, practical and stunning to look at. 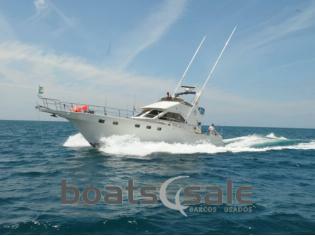 She has a large covered aft deck, wide side decks and foredeck. Mahogany on Oak with Teak decks. 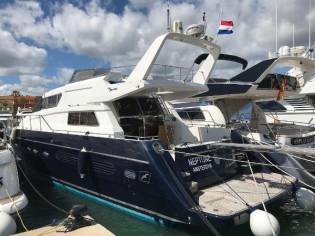 Owner aft en-suite, two thwart ships cabins with heads bath/shower and forward en-suite cabin. Silver Buccaneer is a slice of history, an armchair you got from your Grandad which you cant replace, you love it because its beautiful, quirky and more comfortable than your sofa. The body has recently had remedial work carried out including planking work and a fresh rear (2017). £90K ish! Hull topsides - Mahogany on Oak. Paited White Hull below water - Teak on Oak. Superstructure - Mahogany on Oak Laid Teak deck. Round bilged, displacement body with long keel. WOW! What an aft deck! 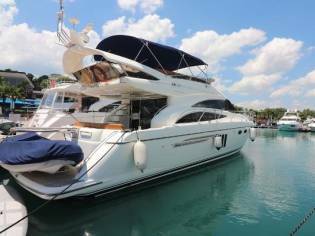 - As soon as you step aboard you arrive on the huge Teak laid aft deck with canvas sun awning. There is a central desk and manufactured into the aft side of the wheelhouse is a bench chair with surrounding deck storage. The deck is secured by a solid lockerty rail. with Teak capping and side access gates. This is the perfect place to dine alfresco, host a party or lounge about. A true feature. Fitted desk and hatch covers. The side decks are wide, Teak laid and secured with a continuation of the solid rail that wraps the whole vessel. Moving about on deck is all one level so you always feel locker and secure.The Foredeck - is also large and Teak laid. There is an opening deck hatch over the galley area with lovely butterfly windows and an access hatch to the forward compartment. Also two magnificent vent funnels for purpose and feature. All be it this is a working area it is also great for socialising. Looking back at the compartment top you see more feature vent funnels and the ships mast. Mahogany inside, in lovely quality with a real traditional feel. The "Ormidale" is full of classic beauty and the finish is from a quality era & renowned builder. 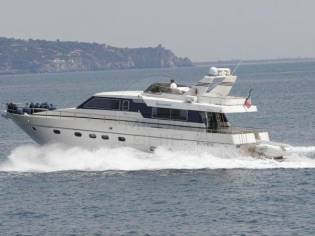 With lovely deck front lights and exquisite compartmentetry, she reeks of quality and craft. She has docks for six/seven. 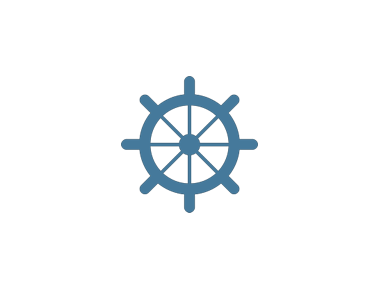 Wheelhouse - Wheelhouse with seaport helm and wheel, instruments and helm chair. To starboard is a bench chair with access down to the deck bar and aft to the deck. There is also access to the side deck on the seaport side. Saloon - Large bar with two 'L' shaped chairing areas to seaport with dinning desk and apartd by a beautifully crafted cocktail compartmentet for the ships crystal and decanters.To starboard is a full range storage group with shelf, drawers and cupboards. The bar is surrounded by windows on three sdes and has a lovely airy feel, this along with the warm profundity of the tailored furniture makes it a lovely social area. Webasto central heating with radiators. 24v ring main and lighting. Aft in the bar is the stair access to the aft compartments and forward are stairs to the galley and foreward compartment. Port aft compartment - A lovely cot compartment, beautifully appointed. Wash hand tank with mirror and under sink compartmentet. Good storage with set of drawers and wardrobe. Starboard aft compartment - A lovely single compartment, beautifully appointed. Wash hand tank with shelf. Wardrobe and storage. Off the gangway - to starboard lies the day/guest compartment fronts. Separate sit in bath and shower. Wash hand tank. Electric toilet. Aft Owners Cabin - A bit more of a lord and ladies affair than a modern boudoir! 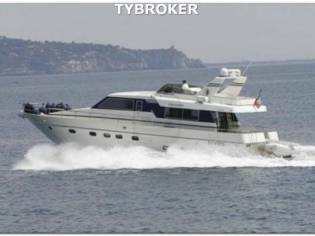 Roomy with a double bed to starboard with a single dock to seaport. Fitted vanity group with good storage - drawers, wardrobe and large storage cupboard. En-suite fronts - to starboard with apart shower to seaport including a full range mirror to prepare for the Ceilidh! Electric toilet. Galley - Going forward from the bar you go directly into the large thwart ships galley.